I cannot explain the pure joy I had when I heard McDonald's all day breakfast was here. It's been a little over a month since McDonald's launched all-day breakfast on October 6th and I wondered, how successful has the campaign been so far? McDonald's corporate has been tooting its own horn since the launch, but franchises aren’t particularly lovin' it. Many of the complaints have been about efficiency problems, loss of sales, and issues with customer dissatisfaction due to the lack of menu options (breakfast menu offerings varied regionally). So has McDonald’s been overhyping their launch success? Are consumer more inclined to buy from McDonald’s now? 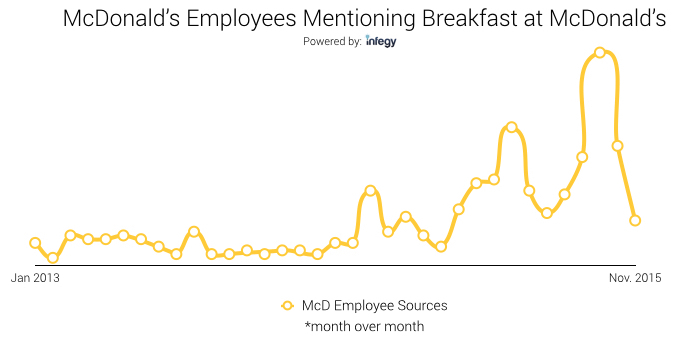 Listening to what consumers and employees are saying online about Mcdonald’s breakfast gives us a better context as to how McDonald’s “All Day Breakfast” launch is going so far. Employees certainly are much more vocal about breakfast nowadays than they ever were before. 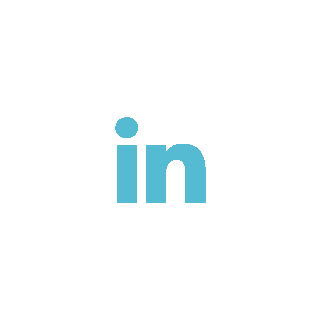 Out of approximately 13K McDonald's employees identified online since 2013, 32% of those employees had mentioned about McDonald's breakfast within the past 2+ years. About a quarter (23%) of the identified McDonald's employees were most vocal within just these last 2 months. Too bad it isn't because of their pure excitement for McDonald's new breakfast though. While there isn’t a significant disparity in positive sentiment, it isn’t good news to be seeing employees more negative towards breakfast today than they ever were before. 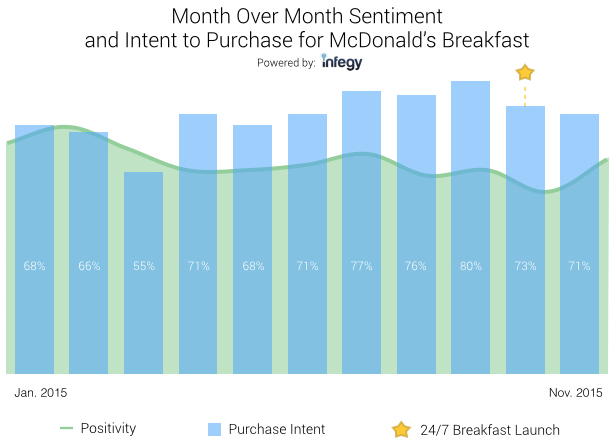 A sentiment analysis around McDonald's breakfast within just this year shows a drop in purchase intent on the month on the breakfast launch. If there were going to be a decrease in purchase intent anywhere, it definitely should not be during launch time. This supports our hypothesis that McDonald's overhyped the breakfast launch and under-delivered on consumers' expectations. Why didn't McDonald's deliver a bigger bang with breakfast? This is probably one of the biggest reasons why McDonald's launch failed to meet expectations. While there were whispers of McDonald's testing out serving all day breakfast months before, there was no real announcement until a month prior to launch date. Generally McDonald's does a decent job on marketing and preparing well for new initiatives, but this one honestly felt 'out of nowhere'. Franchises were not well equipped. Even with the breakfast menu cut down, some franchises struggled with efficiency due to the lack of equipment and workers. These establishments should have been better prepared to take on the race together. Efficiency is key for a business like McDonald's and unfortunately, the breakfast launch has many of its employees unconfident and frantic instead. Menu items were not transparent enough. The end of McDonald's breakfast commercial ad displays steaming hot deliciousness of the most popular breakfast items with a disclaimer at the bottom that says, "Menu items vary by location. Deliciousness doesn't." Having an inconsistent menu nationwide makes it already hard enough for consumers to understand what “all day breakfast” really entails and having an ad that portrays anything but a limited menu doesn’t really help. In turn, this has caused many to be surprised with disappointment when they made the trip out to McDonald’s. 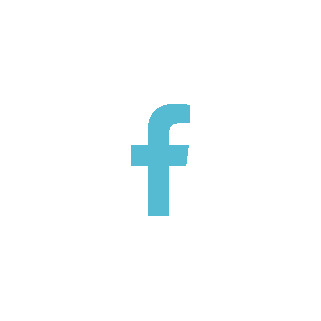 Get franchises on the same page. If there are establishments that are not well equipped to serve breakfast yet, accommodate their needs on getting there -- invest in the additional grill and hire more workers if needed. 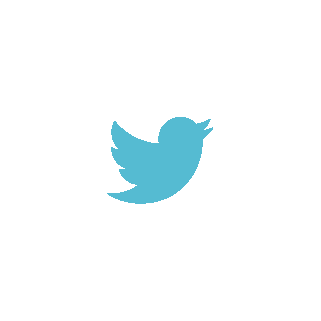 There needs to be a sense of cohesiveness. Make the breakfast items consistent across the board. If logistics don't allow an establishment to hold both the small breakfast menu and lunch/dinner menu comfortably, then it might be time for the franchises to axe a few items to make room for a consistent all day breakfast menu.